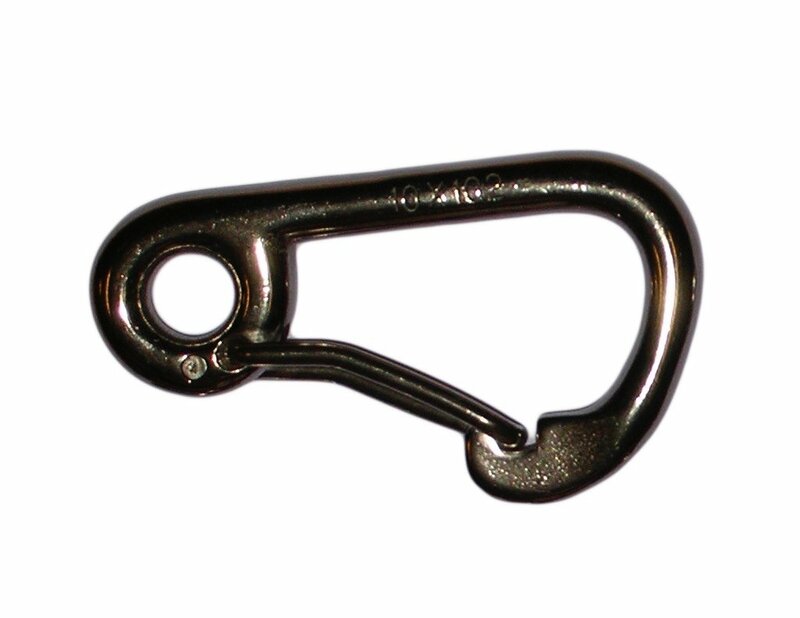 Carbine hook in stainless steel to AISI316. Wire diameter 6mm. 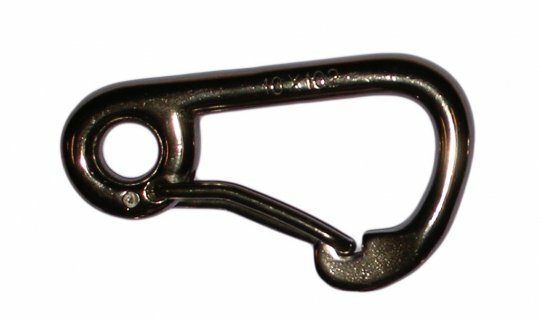 Overall length 60mm. Untested.